Any temperature in the range of 97.0 F to 100.0 F is not generally a cause for concern for healthy individuals. 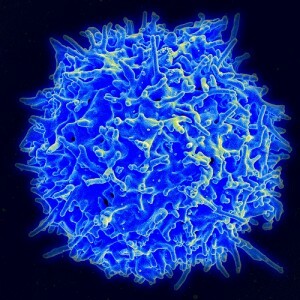 But there is more to autoinflammatory diseases than the body temperature. For over 100 years, 98.6 degrees F (or 37 degrees C) has been accepted as the standard for a normal body temp. This became the standard after a German physician, Dr. Carl Wunderlich, recorded auxiliary (armpit) temperatures from about 25,000 people in the 1800s. With that data, he concluded that the average temperature was 98.6 degrees F, or 37.0 degrees C.
Keep in mind, this number, whether it’s 98.6 or 98.2 degrees F, is just an average. The human body has a wide range that is considered normal and each individual may have their own normal range. Any temperature between 97.0ºF to 99.0ºF (36.1ºC to 37.2ºC) is considered perfectly normal and not a cause for concern by itself. Even temperatures from 96.0 to 97.0ºF are not unusual, especially upon waking in the morning. In that same study that revised Dr. Wunderlich’s normal body temperature, the range of temperatures record for study participants was 96.0ºF to 100.8ºF. The National Institutes of Health (NIH) states that any temperature below 95.0ºF (35.0ºC) is considered hypothermia. If you or your child’s temperature gets below 95.0ºF, call your doctor immediately. 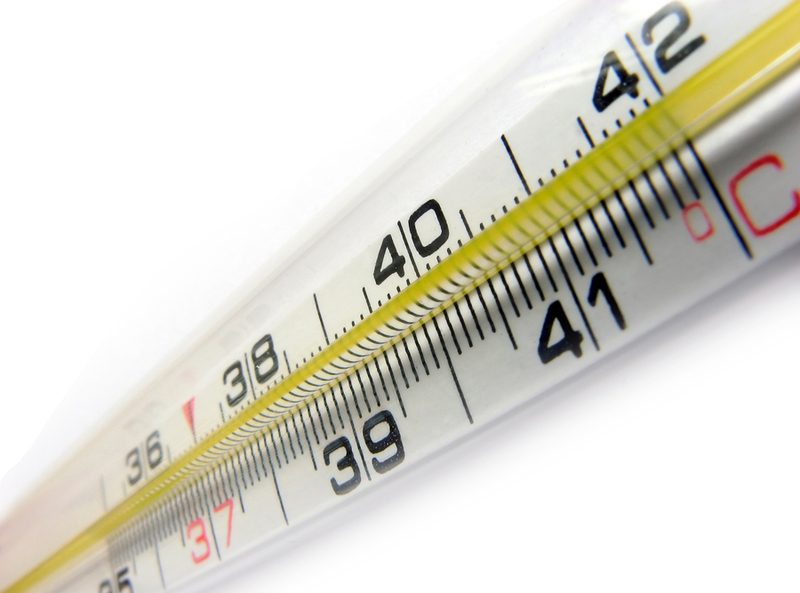 Most doctors consider anything over 100.4ºF (38.0ºC) to be a fever. Click here to read more about fever ranges, the best way to take a temperature, and what can affect your body temperature. The Feverprints study seeks to learn more about normal temperature fluctuations and fevers. Much more could be learned about fevers and normal body temperatures in humans. Researchers from Boston Children’s Hospital and Beth Israel Deaconess Medical Center, both of which have autoinflammatory disease clinics, are now studying this. Anyone in the U.S. age 7 and older can participate in this study. All you need is the iPhone app, a thermometer, and a couple minutes a day to log your temperature. Click here to learn more about the Feverprints study. We’re making judgments on normal and abnormal temperatures based on information that may be inaccurate. This may lead us to over-treat some patients that don’t need to be treated and to withhold treatment from patients that should be treated. This study aims to give us more current research and insights for patient care and treatment for the 21st century, especially with the use of digital thermometers and various methods to check a temperature. Read more from Dr. Hausmann here about fevers and the Feverprints study. Click here to learn what a periodic fever syndrome is. Patients with periodic fever syndromes report having extreme low and high temperatures. Some report temperatures above 105 degrees F and below 95 degrees F when in flares. Some report the lower temperatures before the flare starts or as the flare is breaking, and some report that the low temperatures happen with and without treatment for the flare. Call your doctor right away if you or your child experience these extreme temperatures, high or low. However, it’s important to not only focus on the fever in autoinflammatory diseases. Although the fever is easy to measure and document, know that when someone is suffering from a periodic fever syndrome, it’s not just a fever. There is systemic inflammation happening throughout the body and fever is only one symptom of that inflammation. It’s important to include all symptoms in your symptom log for the doctor to evaluation and treat. 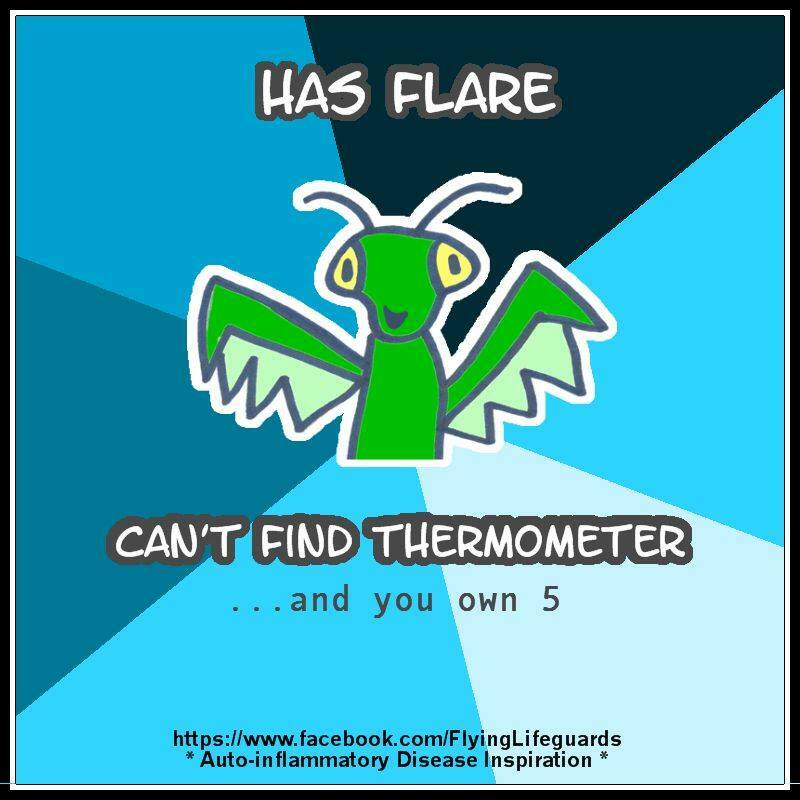 Click here to learn what is happening internally during an autoinflammatory flare. When determining when and how to treat a patient with an autoinflammatory disease, the other symptoms, such as pain severity, rashes, or joint swelling and blood test results, such as CRP (C-reactive protein), ESR (erythrocyte sedimentation rate), and SAA (serum amyloid A) also need to be considered. For some, symptoms can come before the fever, or in some without a fever. Without treatment, patients with autoinflammatory diseases can suffer greatly even when they don’t have the medical definition of a fever. When trying to find a diagnosis and/or discuss treatment with your doctor, make sure you document and discuss with your doctor not just the temperature, but also all symptoms. 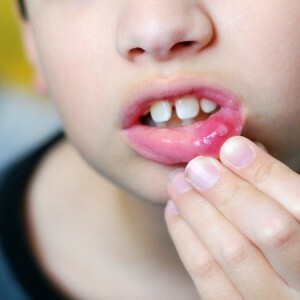 If you or your child has joint pain, mouth ulcers, rashes, abdominal pain, eye issues, hearing loss, or any other symptoms, these need to be logged and discussed with your doctor as well. A good diagnosis is not made just on the basis of the fever, but by evaluating all symptoms, lab tests, and genetic test results collectively. 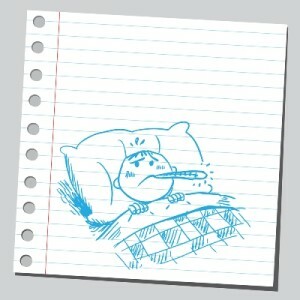 Likewise, effective treatment cannot be made by focusing solely on the fever. University of Pittsburgh: A critical appraisal of 98.6 degrees F, the upper limit of the normal body temperature, and other legacies of Carl Reinhold August Wunderlich.